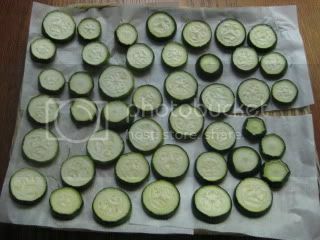 Sliced zucchini becomes nicely semi-dry after half day of sun-bathing. Sun-dried zucchini is packed with umami flavors and the texture becomes very nice, too. 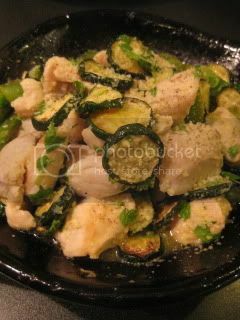 With the sun-dried zucchini, I enjoy making very simple donabe dish with my Iga-yaki donabe skillet, "Toban". 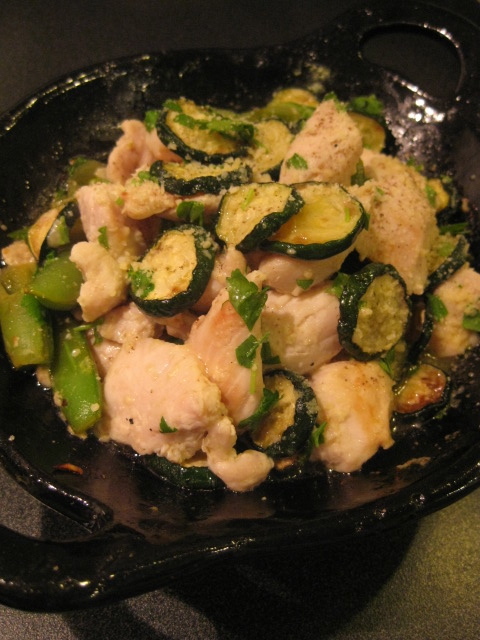 It's a delightful izakaya-style one pot (skillet) dish. 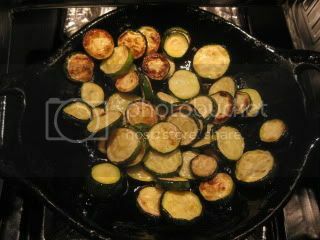 In Toban, sauté 2 miedum-size zucchini (sliced and sun-dried) until golden brown (about 2-3 minutes each side) in olive oil. Transfer to a plate and set aside. Coat the toban in 1T oilve oil and add 8 oz chicken tender (cut into bite-size pieces and marinated in 1T shio-koji for at least 6 hours to overnight). 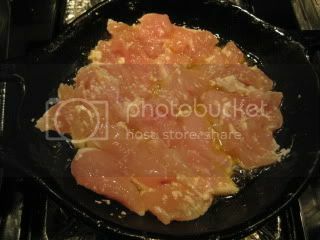 Cook until the chicken is lightly golden (about 2 minutes each side) and almost cooked through over medium-high heat. 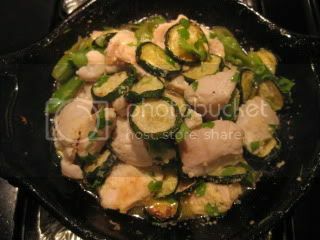 Add 1T sake and the cooked zucchini back into the Toban. Stir until sake is reduced down. Turn off the heat and add some ground black pepper, 2T grated Parmigiano Reggiano and 1/2T chopped parsley. Serve immediately. The shio-koji chicken is so tender and zucchini is meaty. It's a umami-packed wonderful dish.